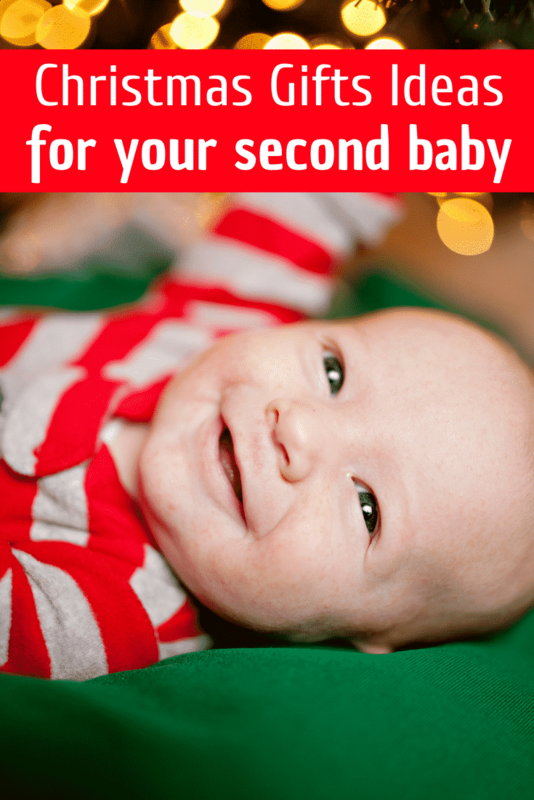 If you have added to your family this year, then you may be in need of Baby Christmas Gifts for the 2nd Child in your home. Typically there will be a lot of ideas thrown around for babies, but not so much is needed when they are little. You may also be, like us, a receiver of hand me downs from family, friends, or older siblings. If that is the case, many toys and gift ideas are already in the home. 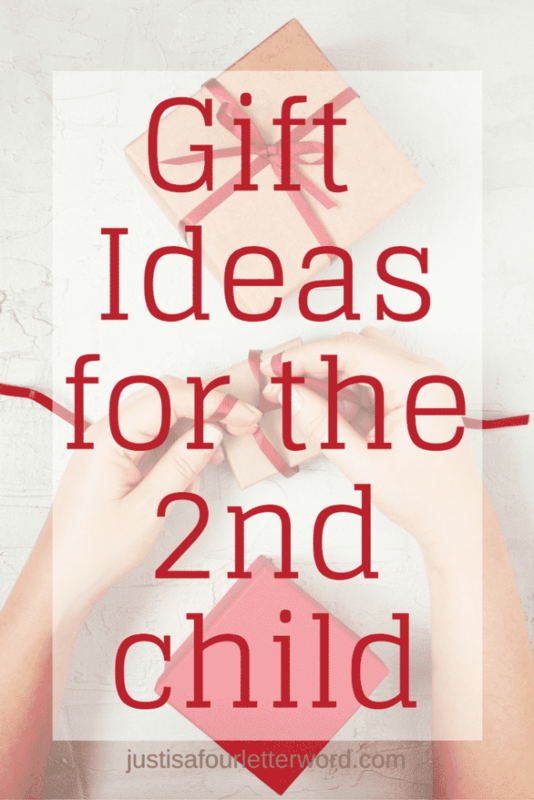 That’s why this list is a great way to treat your kids even when they already have classic gifts at home. If you’re looking for newborn baby gifts for a new mom, we have some ideas for that too! Post originally published Decmber 2011. Affiliate links are included, which means I may earn money on purchases made through my links. Jerry and I are blessed to have a lot of friends with kids that are older than ours. This means we have been on the receiving end of some pretty generous hand-me-downs. Between those and some toys that I have been collecting throughout the year, we have a pretty good stash of gifts for Oscar. However, since we still have most of the toys Oscar had as a baby, we really don’t need to get more. This leaves poor Calvin with ONE book under the tree. I know he was just a wee babe, but I felt so guilty for not having more presents for him! I don’t think kids need tons of toys, but it’s always fun to have something to open. Here are a few ideas that will help keep you from feeling mommy guilt while giving them something fun and unique to see under the tree! Who doesn’t love holiday jammies? One of my favorite things to do each year is getting holiday PJs like these from Crazy 8. The best part? If you buy matching ones, the younger sibling gets twice the use! There are so many cute pairs of matching pajamas for all sizes that you can grab for the whole family. When the Cubs finally won the World Series, fans all over the world were celebrating. Maybe your family has a few fans of baseball or something else that you want to remember from the past year so something personalized makes a great baby gift. This type of item can be anything from a collectible item for the year to a specialty ornament with the year engraved on the surface or even a stuffed animal. We love making this something that everyone can have a unique gift, but the baby gets something along the same theme. For older siblings, gifting a game or activity they can enjoy together is a great way to get gifts that aren’t simply duplicates of other things you already have. We like adding a gift under the tree for the baby in the house that will bring the family together. This is usually a fun movie that is colorful for them or a cute set of books that anyone can read to the baby and spend quality time with them. I’m a sucker for a cute stuffed animal. I know, I know they pile up quickly. 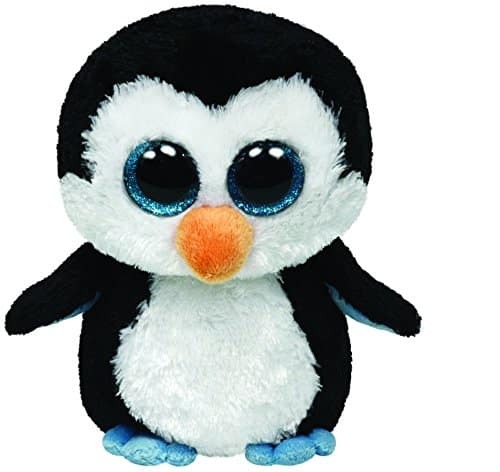 I like Beanie Boos because they are small, kids love them and they are affordable. They can be a great addition to your gifts for the new baby. Stuffed animals are always a fun cherished gift! Of course, it’s the thought that counts but who doesn’t love a little something to unwrap? Gifting something unique adds to the joy you have when picking out presents. There is no need to worry about what to gift with these great ideas for baby Christmas gifts! We’re in the same boat! We don’t need any more toy or clothes. So I asked family who wanted to give Sophie gifts to pick something personalized … an embroidered blanket, a picture frame, etc. A keepsake. As for Santa, he’s bringing a book and a small wooden teether. Sophie and Calvin can commiserate! How about this? 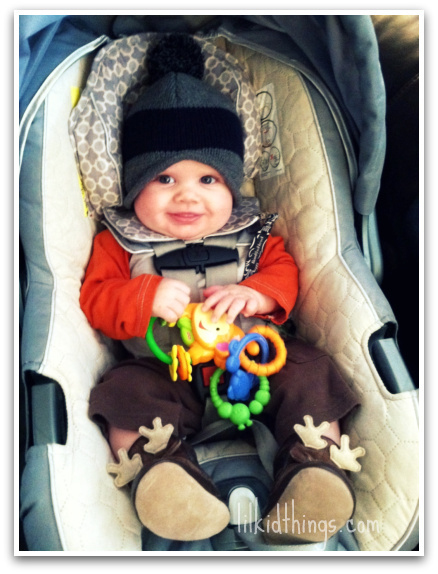 Take the best baby toys that were Oscar’s and suitable for Calvin’s next few months. Then ask Oscar to help wrap them as gifts to his brother. That’s a really great idea! I think we will do that! Yes, when Isaiah was Calvin’s age, we just wrapped up toys that we already had but hadn’t really played with yet for his presents. I don’t like having too many toys around anyway…these years when they are small you can get away with that kind of stuff…so don’t feel guilty. I have boxes of Catie’s old toys in the attic. I’ve gone through and found things that were hers when she was a baby, which I know she won’t remember (things she didn’t care about), and I’m wrapping them up as if they’re from Santa. Great ideas above. Wrap toys he hasn’t used yet and they will be as good as new! My friend who has another girl says the same thing. My second is a girl so it’s different for me. He is young. Oscar may be too young, but he may realize that he got more that Calvin. Wrapping up those unused toys sounds like a great idea. Ive been having the same problem. I have 1 outfit for noah that I actually got for free w a coupon. I did buy him some mummums since he’s just started teething and will probably start solids soon. I think he will be most interested in the wrapping paper anyway. Oh we will also probably get him an ornament for the tree. Oh I forgot about the ornament! We always get ours on vacation so he will definitely get one of those! With three boys I have been and are in the same situation. Les (up above) took the words right out of my mouth. That is what we did with our middle son and it worked out so great we are doing it again for our 7mth old this year. My son Cole is also in the same boat. Except his older brother is 5 and is very aware of the toys that used to be his as a baby. The older one, Ian, even pulls those toys out from time to time. Cole is getting a Pottery Barn Anywhere chair from Santa and just a few little things from us. He was born in a different season than Ian, so he has needed some clothes. Ian has a big Santa gift and isn’t getting much from us, so he probably won’t notice the difference in amount of gifts under the tree. At least I hope not. Okay. i understand your plan.